This monument is variously known as the Monastery, Sanctuary or Convent of Santa Ana del Monte, and stands high up in the mountains to the south of Jumilla, affording excellent views out over the town and further. It is a popular destination among walkers and cyclists and is well worth a visit purely to admire the landscape, but at the same time there are important works of art contained within the building and it is recommended that an effort be made to arrive when the monument is open to the public. The building is still in use as a church, with Mass being held almost every day of the week. To coincide with these services, in summer the Monastery opens to the public from Tuesday to Saturday between 10.00 and 13.00 and again from 16.00 to 18.30, and on Sundays from 10.00 to 11.30 and 16.00 to 17.30: in winter, the afternoon closing times are brought forward by an hour. The first place of worship of which there is any record in this area was devoted to Santa Ana, the mother of the Virgin Mary and therefore grandmother of Jesus, and dated from around 1450. It is known to have stood close to a spring on a spot where tradition has it that an apparition of the Saint was seen, but it has been speculated that this location had to be moved due to flooding in times of rain. 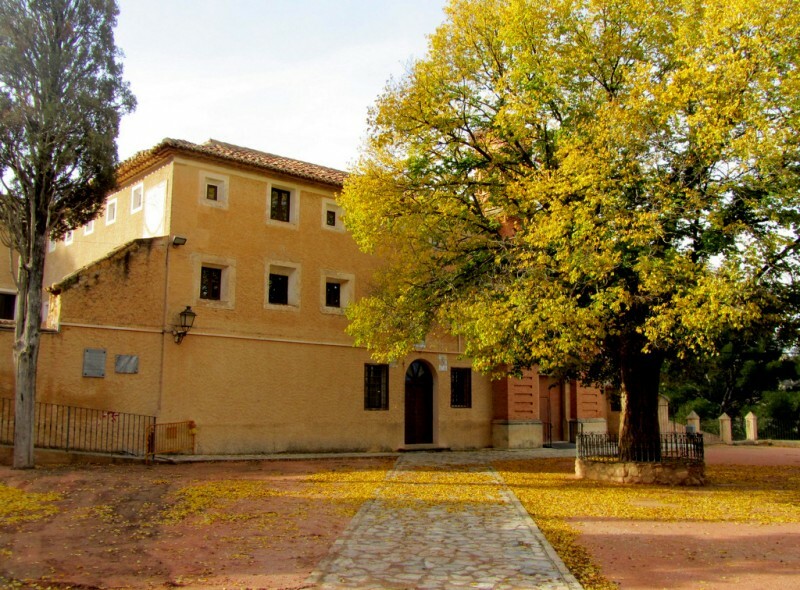 The newer building, which stands next to a different spring known as the Fuente de la Jarra, dates from the 16th century, when it was built by monks of the barefoot Franciscan Order called Ordo Fratrum Minorum, and is known to have been consecrated as a place of worship in 1573, since when the Order has acquired a valuable cultural, historical and artistic collection. See more about the history of Jumilla. The outside of the monastery is dominated by the two brick towers and the image of Santa Ana which is above the main window between them, and is an instantly recognizable sight to those who know the countryside around Jumilla. On the patio in front of the church are various “stations of the cross” which constitute a “Via Crucis”, featuring designs made with ceramics from Valencia: further ceramic decorations are also visible, showing Santa Ana and two angels. An interior courtyard which leads to the church also features magnificent views, and is an ideal spot to enjoy the shade provided by the trees. Nearby there are a series of other small chapels, including the circular Ermita de la Santísima Trinidad (where there are three doors, three windows and three altars, making it possible to hold three Masses at the same time!). This is one of seven small chapels in the grounds of the monastery, the others being the Ermita del Humilladero, the Ermita de la Oración del Huerto, the Ermita la del Descendimiento de la Cruz, the Ermita del Santo Sepulcro (all of which were built in 1602 alongside the Ermita de la Santísima Trinidad), the Ermita de Belén and the Ermita de la Penitencia. Among the most prized possessions of the monastery is the figure of “Cristo Amarrado a la Columna” (Christ Tied to the Column) by the master of Murcian religious sculptor Francisco Salzillo. 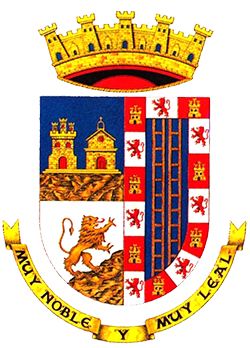 This was acquired in 1755, and it is also possible to see the 17th-century “Cristo de la Reja”. The main church of the Monastery of Santa Ana del Monte contains a central nave and one side nave, which is the chapel devoted to the Cristo de la Columna by Francisco Salzillo. This is the episode of the crucuifixion in which Jesus was exhibited to the crowds (a scene sometimes referred to as “Ecce Homo”) and subjected to ridicule and torture before being crowned with thorns. 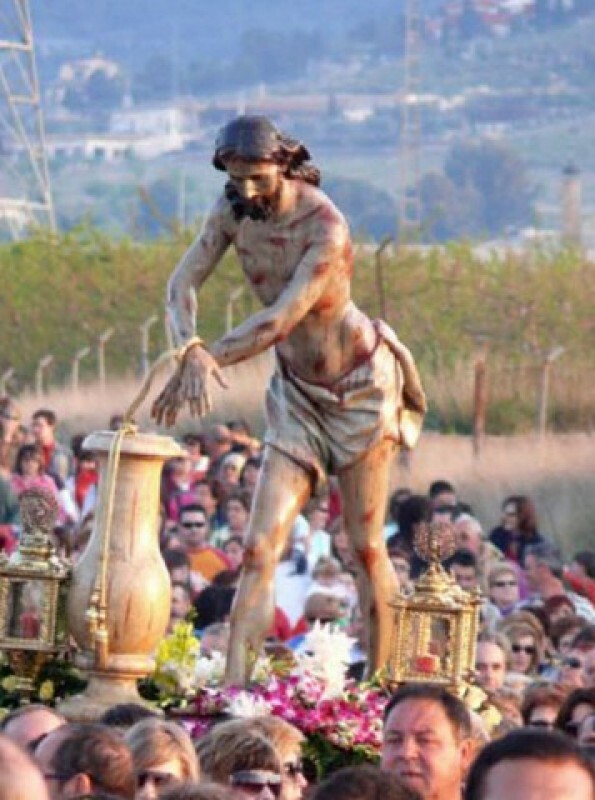 The figure was carved from cypress wood, and is carried to and from the Monastery every year in ‘popular “romería” festivals: it leaves the sanctuary in the mountains during Semana Santa (Easter Week), returning to the town on the second Sunday in May in the "Romería de Cristo Amarrado". The chapel housing Salzillo’s statue is also decorated with four large canvases by the artist Manuel Muñoz Barberán, as well as a sculpture depicting the Franciscan Hibernón by the studio of Roque López (18th century). The choir is above the main entrance, and the crossing is separated from the rest of the nave by a small grill which features another statue of Christ: this is the image known as the Cristo de la Reja, and in the past was the source of great devotion in Jumilla. Two reliquaries date from 1613 and contain objects brought by the Marqués de Villena from Italy, and the altar screen, atop which stands a figure of Santa Ana, is from the 15th century. As well as all these items, the museum in the building contains numerous other works of art and curiosities. 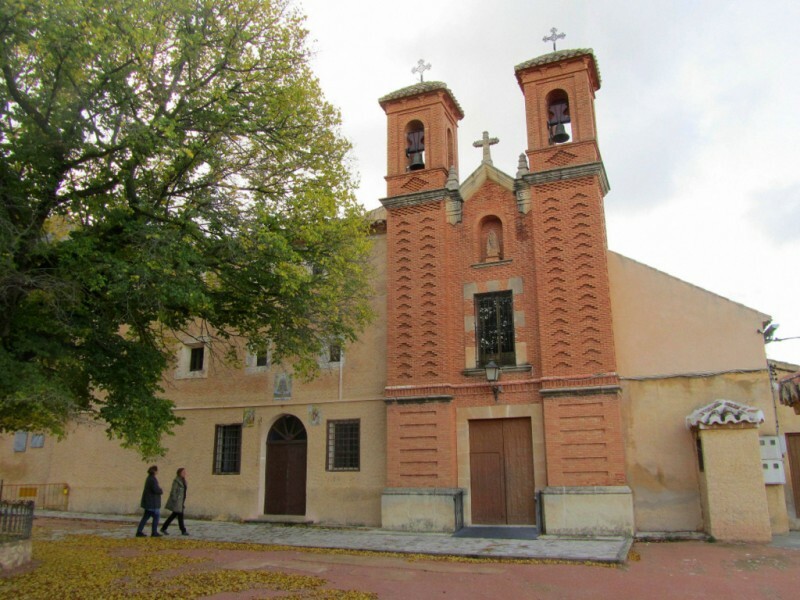 The Monastery of Santa Ana is also part of a walk in the mountains to the south of Jumilla which takes in other stops of interest, such as the “Pasicos de San Pascual Bailón” (a series of small buildings which originally date from the 18th century) and some of the 12 archaeological sites dating from the Argaric culture in this area. Of these the most important yet found is that of "Coimbra del Barranco Ancho", very close to the spring of Fuente de la Jarra, which contains remains of human settlements from between the 4th and 2nd centuries BC. Needless to say, the walk also includes opportunities to learn more about the flora and fauna of the area, including the numerous Aleppo pines and animals such as the peregrine falcon, the golden eagle and the short-toed snake eagle, and ornithologists will be keen to visit the museum of the monastery, where one of a pair of bearded vultures who lived in the mountains until the mid-20th century has been preserved. This location in the Sierra de Santa Ana is reached by taking the RM-714 (alternatively known as the Avenida de Nuestra Señora de la Asunción, or the C-3314) road out of Jumilla in a south-westerly direction, and following the signposts which lead into the foothills of the mountains. The monastery is 5 kilometres from the town centre. The RM-714 can also be joined by exiting the N-344 dual carriageway at kilometre 69, just south of the town centre of Jumilla.